Miami Dolphins guard Richie Incognito has been at the center of a racial scandal for the past weeks after allegedly bullying his own teammate Jonathan Martin, who left the team on October 28. 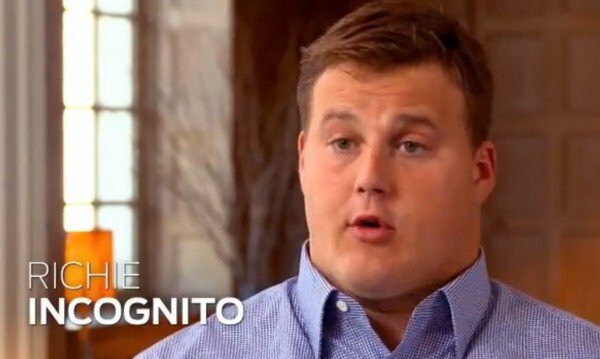 Richie Incognito responded to the controversy Sunday, in a sit-down interview with FOX Sports that was taped Saturday at the Beverly Wilshire Hotel. It is Richie Incognito’s first extended interview since the story broke. The interview first aired on NFL FOX Sunday, but an extended version aired Sunday night on FOX Sports Live. In the interview, Richie Incognito asserts that he’s not a racist, insists that his relationship with Jonathan Martin was not as fractured as it may seem and says that much of what has been reported is misleading. Richie Incognito also turned over his phone records, which showed 1,142 texts between him and Jonathan Martin in the past year.